If you have ever asked “what is the first step in volunteer engagement” and of course how to do so using technology, this workshop is for you! Learn the foundation to building a volunteer program and mix them with the contemporary concepts of virtual volunteering. 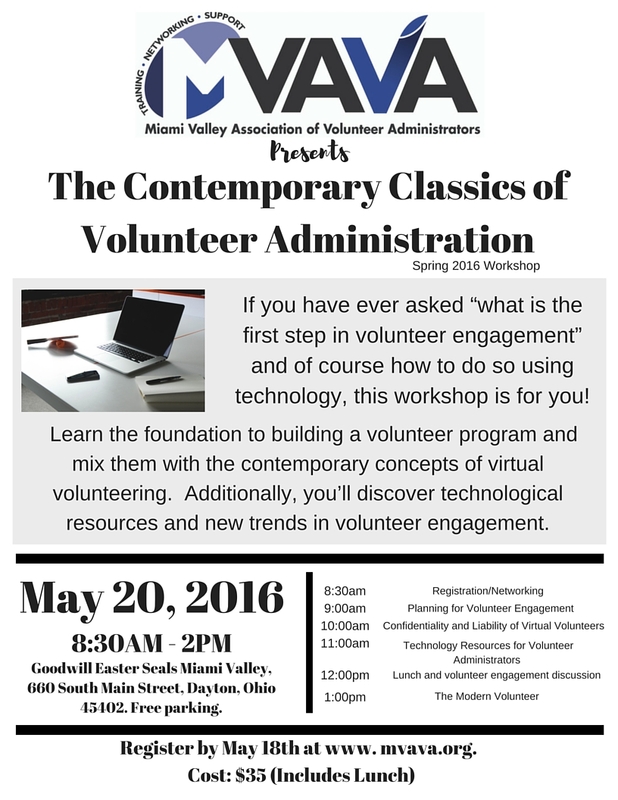 Additionally you’ll discover technological resources and new trends in volunteer engagement. The workshop will be held on Friday, May 20th from 8:30AM-1PM at Goodwill Easter Seals Miami Valley, 660 South Main Street, Dayton, Ohio 45402. The cost of $35 $30 will include lunch. Please register by Wednesday, May 18th. Jayne became active online in 1993, and she created one of the first Web sites focused on helping nonprofits to use online tools.